Moving out can be almost as hectic as moving into the dorms and apartments. It did not make sense for us to drag the entire dorm supplies home for the summer, only to send them back up in the fall. We opted to have our kids rent an air-conditioned storage facility with friends. (Sharing a unit is recommended to keep the cost down and air-conditioning is key because Tally in the summer months can be brutal.) You may be lucky in that your student may have a friend that will let them store their belongings in their apartment, but that is unusual. My kids were able to move their belongings into storage themselves by packing boxes in between studying for finals. I began reminding them early so they could start the process before panic mode set in. At move-in, we actually broke down some of the boxes and left them flat under their beds throughout the school year so they were able to re-use them, rather than hunt down boxes. Giant, sturdy garbage bags work well too. There were items that they no longer needed (nor did we want). Most dorms collect these items in a common area and donate them to a local community collection organization. If it is in decent shape, then it does feel good to lend a helping hand. There are also moving companies that will pack, move and store items for your student. This is a great alternative given the time crunch during finals. Below is a list of a few companies in the area that do just that as well as storage units throughout Tally and local moving companies. For those of you whose students will be there for a summer semester, coming home for a few weeks and then going back to start fall semester (or rush), storing their stuff for those few weeks is a great alternative to bringing it all home and back again. They will not be in the same dorm rooms when they come back so they cannot leave things. If your student is moving out of an apartment or subletting their apartment, you may need to pay a moving company if furniture is involved. This is, by far, the more expensive way to go (and one of the reasons I recommend renting furnished apartments). Browning Moving – Pick-up and delivery available to climate controlled units. College Truckers – Makes the move-out/in process easier than ever. They are a full-service operation, meaning they pick your stuff up right from your room at the end of the semester, store it and drop it off at your door before classes begin in the fall. Sign up online to reserve a move-out date and time. CollegeBoxes – College boxes charges for supply kits or you may supply your own. You pack and label your belongings for either storage or shipping and they pick it up for free depending on the dates corresponding with the school’s calendar. For FSU, the pickup date is Friday, May 4th from 10 am – 4 pm so if you are going to use this company, this is the only date they pick up for free. Same on the delivery; the only free day to have it delivered to your room is Thursday, August 23rd from 10 am- 4 pm. Dorm Room Movers (Sign up quickly and get 10% off.) They will send packing supplies, come to their room to pick them up, store them for the summer and bring them back to wherever your student will be living in the fall. They will even ship items if you prefer. Elite Campus Movers – Provide a discount to students. Morningstar Storage – They offer a free moving truck for move in. 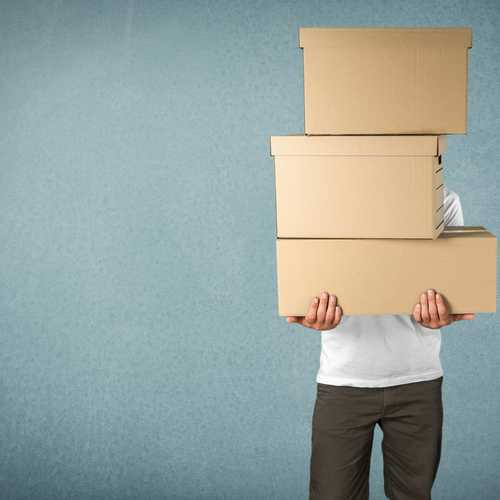 Move and Store – Special deal for students; two moves and summer storage in one price. Storage King USA – They give a 15% discount to FSU students. Storage Zone – There are 4 locations in Tally, temperature controlled, 24-hour access. The Storage Center on Tharpe – Basic storage units, but not air-conditioned. If you want air-conditioned go to their other location on Apalachee Parkway. The UPS Store of Tallahassee – Offers packing materials, free pickup, storage and delivery for one price. This was the one we used. Easy and convenient. Two Men and A Truck – They will not only move your stuff, but they will store it for as little as a week or a few months.